Last Friday I had the amazing experience of participating in Habitat for Humanity’s Women Build with thousands of other women across the country. 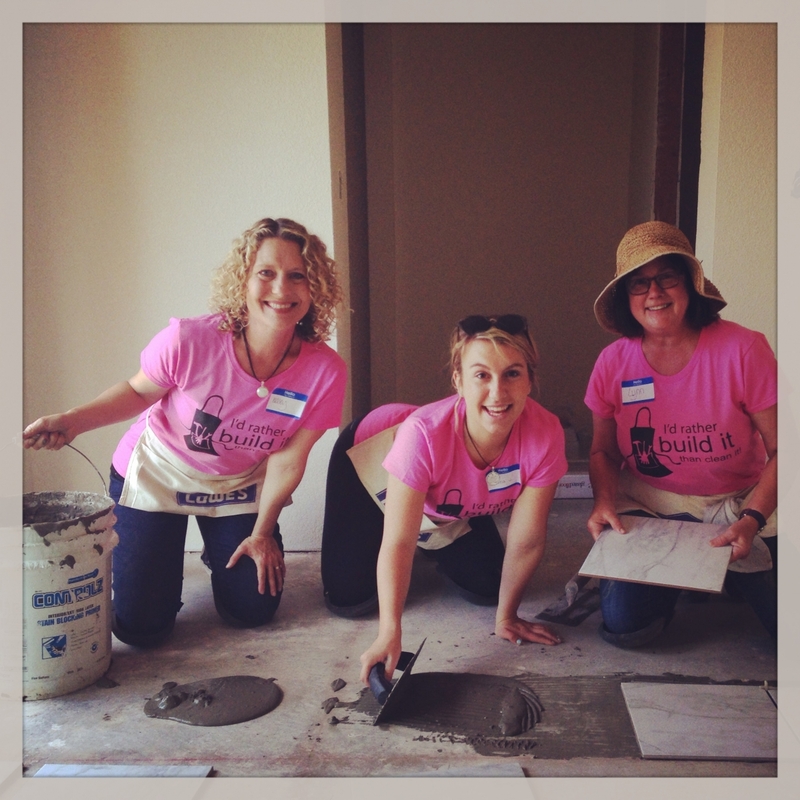 During 2013-2014, 13,500 women participated in Women Build and raised $1.75 million dollars building at 325 sites. It was so empowering to participate last year, that I formed my own team this year of seven women, including my mother-in-law and 19 year old daughter. It was so remarkable having three generations of women in my family build together! Habitat for Humanity does a beautiful job offering women the opportunity to stretch outside their comfort zones, learn new skills and tangibly address the issues of poverty and lack of affordable housing. They also offered a lovely nurturing environment even on a job site, with the Habitat Cafe, catered lunch and the Habitat Spa offering massage, fountains, shade and plenty of water. They seemed to understand the fundamentals of self-nurturing – creating a meaningful experience for women to make a difference in the world, while prioritizing caring for themselves in the process. Imagine adopting this philosophy in your own life and building nurturing habits to make your work in the world more sustainable, enjoyable and fun! I have found that when we start from a filled up and nurtured place, rather than feeling chronically overwhelmed and exhausted, we are more likely to stretch outside our comfort zones and grow. We are also more likely to respond to challenges versus reacting and contribute in a meaningful way in the world spreading love, compassion and kindness. How might your life be different if you built more nurturing habits into your day? What difference might you make in your community if you were not feeling so overwhelmed and exhausted? What structure would support you in consistently nurturing yourself? 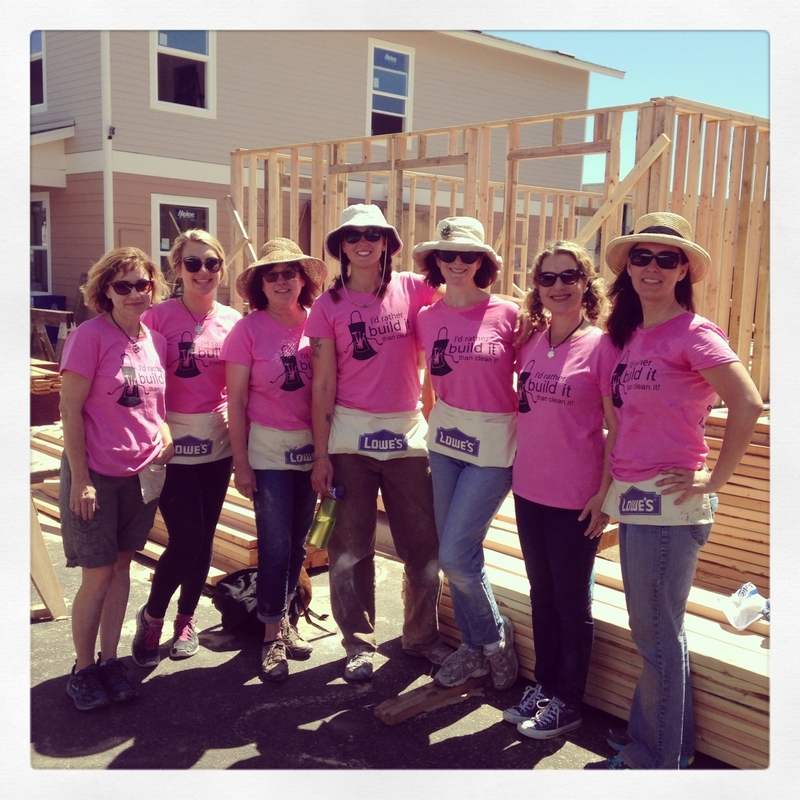 Participating in Habitat for Humanity’s Women Build was a deeply self-nurturing experience for me. Connecting in community with other women to build homes was so meaningful, learning to tile a floor with my mother-in-law and daughter was incredibly empowering, enjoying a massage after a lovely lunch was rejuvenating and ending the day with gelato and champagne was such a treat! I strongly recommend you volunteer with Habitat for Humanity in your community! 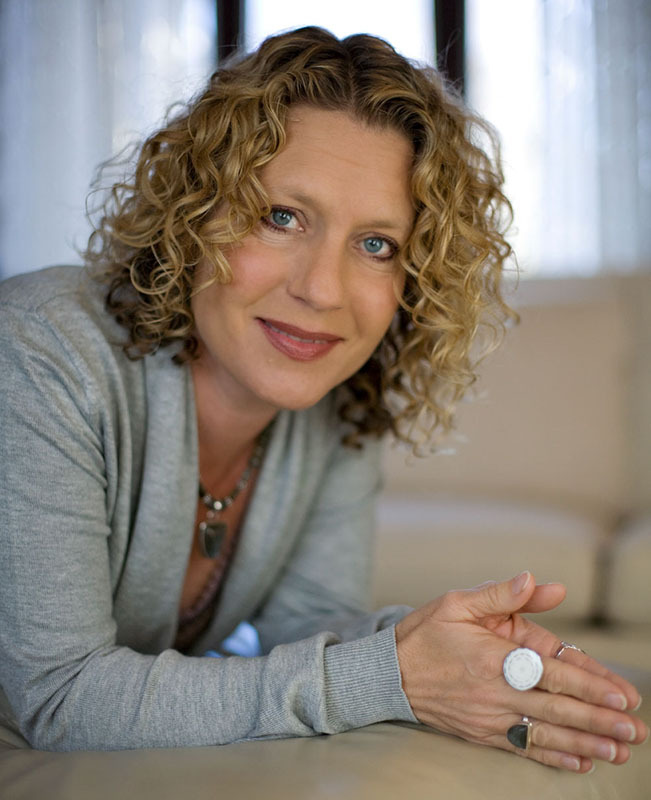 May you feel empowered to build new nurturing habits in your life to fuel your meaningful work in the world and may live authentically in truth and beauty through the art of self-nurturing! Please share your comments below to inspire and encourage others!